The purpose of the Cleaning Committee is to keep the church clean on a weekly basis. Volunteers make calls to parishoners to remind them of their turn for the following Saturday morning cleaning. The names will also be listed in the weekly bulletins. A cleaning report is given at the Altar Society meetings and supplies are purchased with money donated to the Altar Society by people that are unable to clean when called. Extra volunteers are needed weekly to clean. Some parishioners help clean on a regular basis for their work of charity. 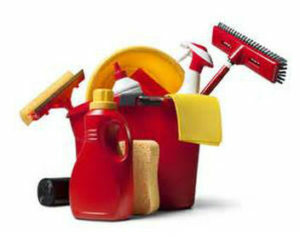 If you would like to volunteer to help clean the church, please contact the rectory.